Labor Day 2018 is in the books. For most, this marks the end of the summer. Officially, summer ends in the northern hemisphere on September 22. While the barbecues, beach parties and baseball games might continue for a little while longer—one activity never takes a hiatus: drinking alcohol. People invariably find reasons to drink but doing so responsibly is the key. Go ahead and have a good time, but always make sure someone sober drives you home. Every 50 minutes in the U.S., someone dies in a crash involving an alcohol-impaired driver. In 2016, the year the data is from, drunk driving claimed 10,497 lives, according to the National Highway Traffic Safety Administration (NHTSA). In addition to this tragedy, the deaths and damages linked to alcohol-impaired driving cost approximately 44 billion dollars each year. Your level of intoxication is usually measured through your blood alcohol concentration or content (BAC) using a breathalyzer. Across the U.S., you can be charged with driving under the influence (DUI) or driving while intoxicated (DWI) if your BAC level is above .08. The law is stricter for commercial drivers, whose DUI limit is .04. There is zero tolerance for combining alcohol and driving if you are younger than 21. Most at risk of being involved in a fatal crash linked to alcohol are young people, drivers that already have a DWI or DUI conviction on their record, and motorcyclists, according to the Centers for Disease Control and Prevention (CDC) and NHTSA. Of all drivers with a BAC level of .08 or higher involved in deadly crashes in 2016, almost three in ten were 25-34 years old and, overall, drunk drivers were 4.5 times more likely to have a previous DWI conviction. About a quarter of motorcyclists killed in fatal crashes the same year had a BAC of .08 or above. How many drinks are safe? Your BAC level will depend on several factors, including your gender, your weight and if you have been eating. That said, there are still standard guidelines. In order to reach a BAC level of .08, you typically will have consumed about four alcoholic drinks, for example, four beers of 12 ounces each or four glasses of wine of 5 ounces each. At that point, your vision, hearing and reaction time deteriorate, your judgment and self-control is impaired, and you will have a harder time detecting danger. If you get behind the wheel, you may miss important information, such as the light turning red or an oncoming cyclist. You might lose track of how fast you are driving or forget to put on your seat belt. You might even experience short-term memory loss. All of this poses a significant risk to yourself, your passengers and others on the road. This does not mean that drinking three beers instead of four is safe. Already at a BAC level of .05, you will experience greater difficulty steering, degraded motor skills and a compromised ability to track moving objects. In general, your capacity to respond to emergency driving situations in a timely and safe manner will be diminished. At two drinks and a BAC level of .02, your ability to rapidly track a moving target and divide your attention between two tasks is lower than usual. So, what is the answer to the question of how many drinks are safe? Zero is always the best option, as driving still brings plenty of inherent risks in the form of distracted drivers, bad weather and unpredictable wildlife. This is why picking a sober friend to drive everybody home or getting a cab is the safest option. What can be done to stop drunk driving? However, there is still more work to be done. Schools need to continue to raise students’ awareness. More people need to get involved in community-based organizations to increase engagement. Sobriety checkpoints can help dissuade people from drunk driving during high-risk periods, like after a sporting event or during the weekend. For those who have already been convicted of a DUI, a vehicle ignition interlock—a breathalyzer that prevents you from starting a motor vehicle if you are impaired—is another option. Utah leading the way toward .05 BAC? In international comparison, America’s .08 BAC limit is relatively high, with the European Union following a .05 BAC limit and some countries, such as Sweden, deeming you legally intoxicated at .02 BAC. Utah will be the first state to lower its BAC level limit to .05, after passing a law last year amid criticism from the tourism and hospitality industries as well as the American Beverage Institute, but cheers in the fields of health and transportation. The new law will take effect in December of this year. The decision is aimed at making the roads of the beehive state safer. There were 23 fatal crashes in Utah involving a BAC between .05 and .07 in 2006-2015. Nationally, NHTSA notes that an individual with a .05 BAC level is more than two times more likely to be involved in a crash than a person who has not been drinking. Utah has led the fight against impaired driving before. Together with Oregon, Utah was the first state to pass a law lowering the BAC limit down from the previous national level of .10 to .08 in 1983. By 2005, all 50 states and the District of Columbia had moved to .08 BAC. A typical complaint in this debate is that a lower BAC level will limit moderate alcohol consumption, but not address the problem of drunk driving, as serious offenders will not consider a .03 BAC difference. However, recent research shows that lowering the BAC level to .08 did not impact alcohol consumption, but did save lives—more precisely 24,868 lives between 1983 and 2014. If the U.S. would further lower the BAC level to .05 across all states, an estimated 1,790 deaths could be avoided annually. The point is simple. 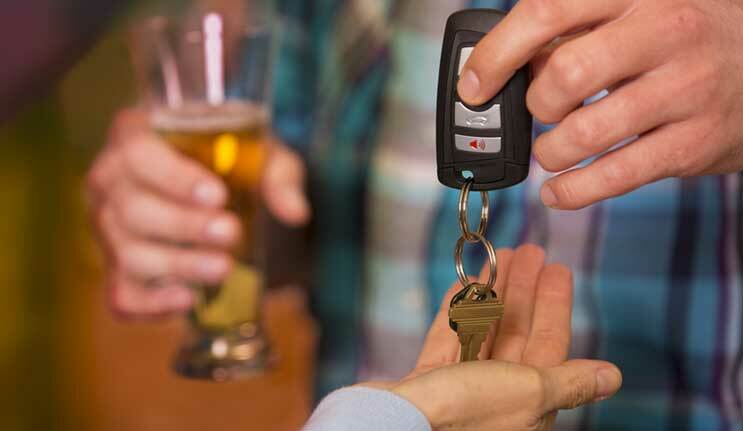 A stricter BAC level is likely to serve as a deterrent, as people will think twice about driving after a few drinks. On December 30, 2018, Utah’s stricter BAC limit will go into effect. The ultimate impact is certain to be monitored by many. In the meantime, enjoy that next serving of nachos and beer, but keep appointing yourself designated driver. Cheers!